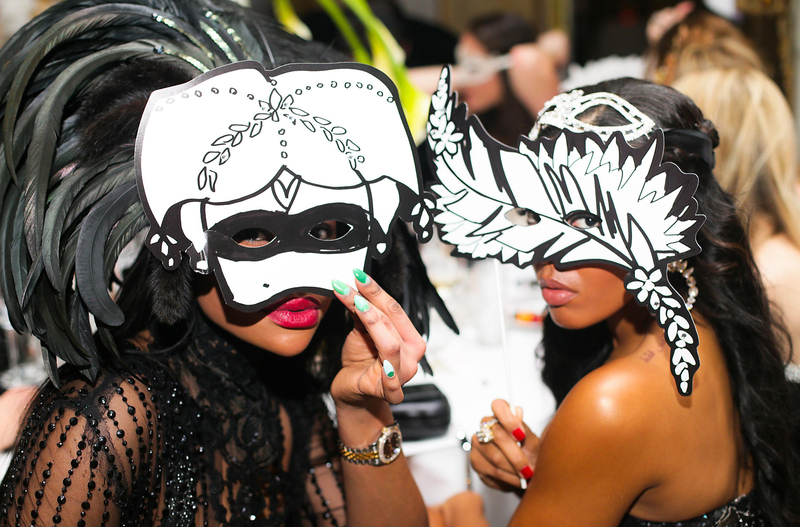 The Save Venice Black and White Masquerade Ball took place on Friday, April 5th at the Pierre Hotel in New York. 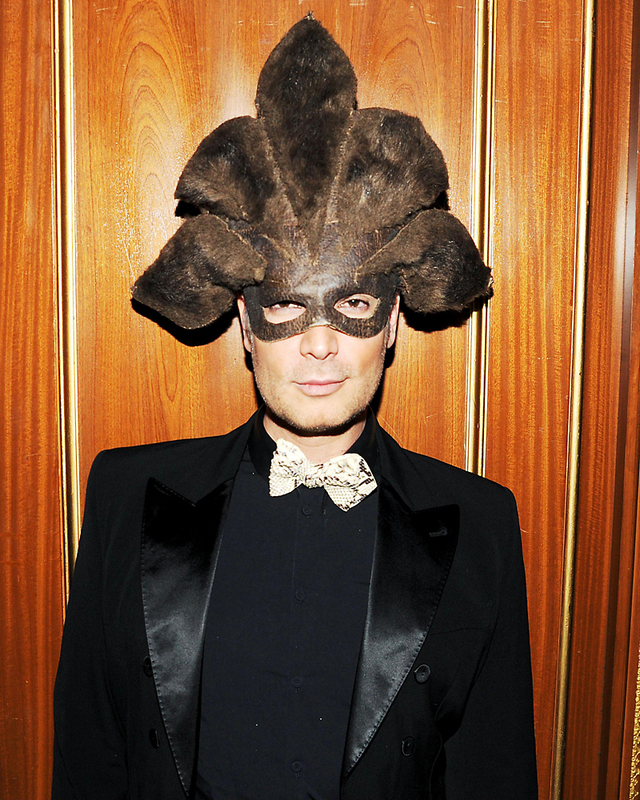 The benefit supports the restoration of art and architecture in the Italian city, and every year is a fashion moment in it’s own right, with guests wearing the most eccentric and fabulous masks and gowns of the year in New York City. Sponsored this year by Lanvin, Harry Winston, and Ferrari, the event was co-chaired by Lauren Santo-Domingo as well as Nadja Swarovski, Laurie Adorno, Adelina Wong Ettelson, Dayssi Andrau Martel, Mary Kathryn Navab, and Francesca Bortolotto Posatti. 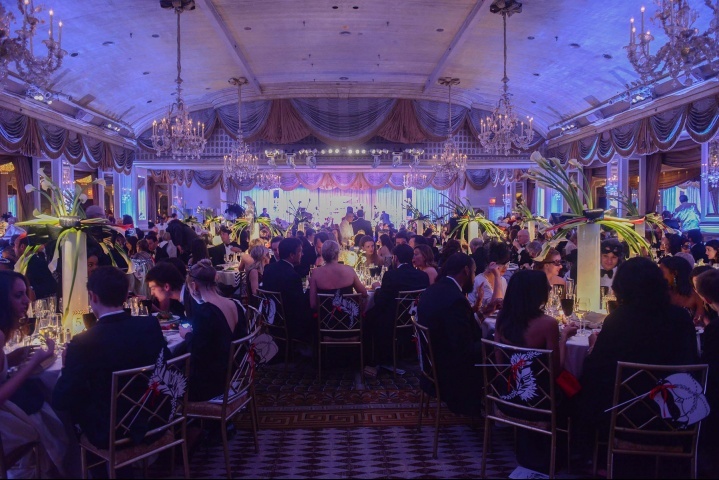 The gala evening featured a seated dinner from 8-10pm. 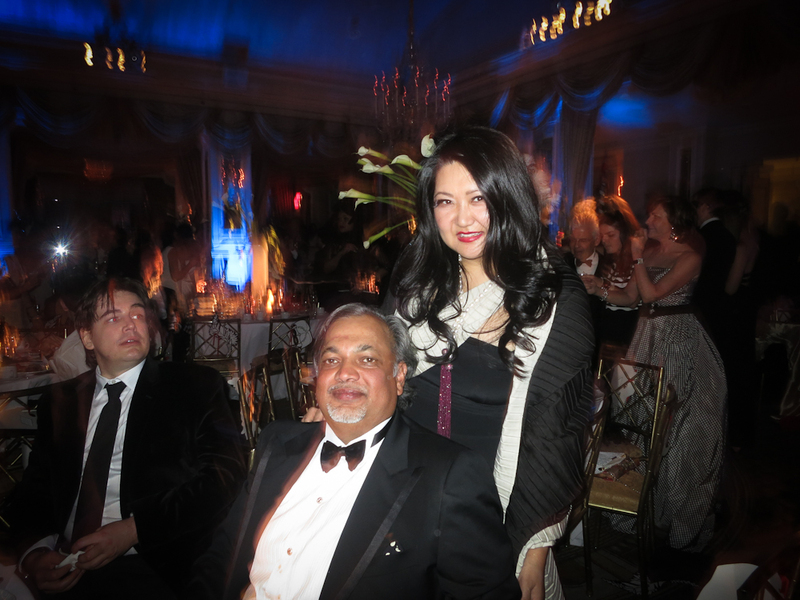 After dinner, piano virtuoso Elew, also known as Eric Robert Lewis, dazzled with his musical performance on stage with a background of Lanvin-clad mannequins and a pirate’s chest of Harry Winston diamonds sparkling. 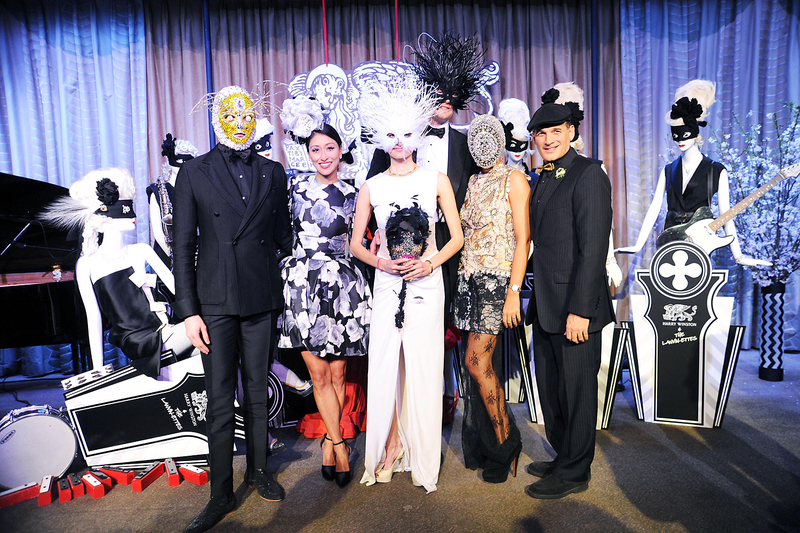 Prizes were awarded for best masks, with Best Female Mask going to Laure Hériard Dubreuil – who wore a crystal-encrusted headpiece courtesy of Margiela Haute Couture – which was similar to the one worn by Kayne back in December that caused so much controversy. 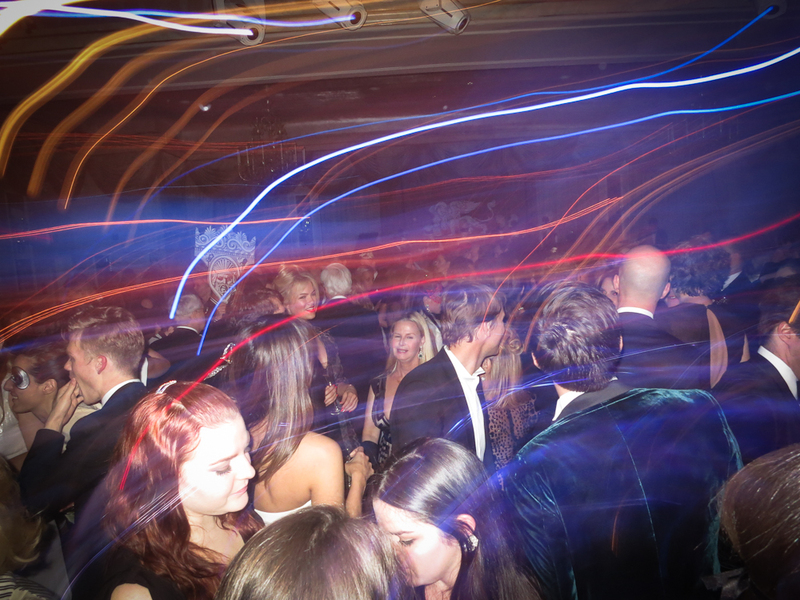 Dancing and festivities ensued into the early hours, with the Lanvin crew mixing it up with other fashion attendees, including Prabal Gurung, Suno’s Max Osterweis, Carly Cushnie and Michelle Ochs, Susan Shin among many others. Save Venice Inc. is based in New York with Offices in Venice as well as chapters in Boston and California. 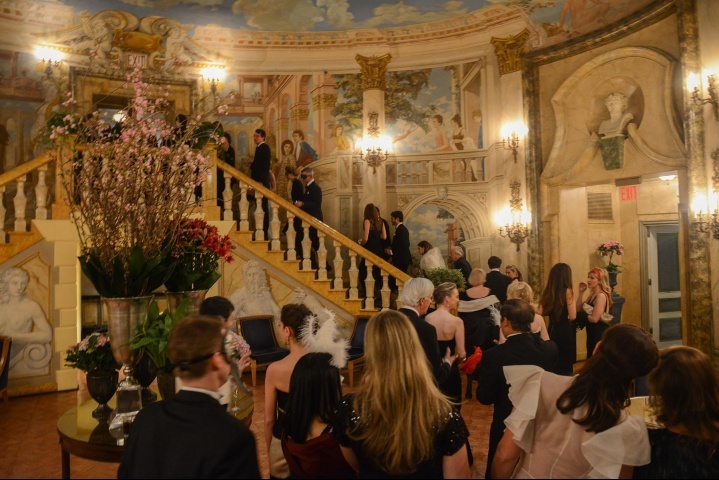 Over the past 40 years the organization has raised more than 20 million dollars to restore over 400 works of art and architecture in Venice. Every year, the Board of Save Venice, including a Projects Committee of renowned experts, selects restoration projects in collaboration with the Venetian Superintendencies of Monuments, Fine Arts and Museums. Save Venice currently has more than 30 projects underway throughout the city, made possible with support from individuals, foundations, and Chapters in Boston and California. Save Venice Inc. was established in response to the serious damage caused by the November 1966 floods – the highest tide in Venice in the last century. More than thirty international committees were formed under the administrative umbrella of UNESCO to restore and preserve the priceless and irreplaceable cultural heritage of Venice. Originally the Venice Committee of the International Fund for Monuments, Save Venice became an independent, charitable organization in 1971. The founders were an extraordinary trio: John McAndrew (1904–78), Professor of Art History at Wellesley College; his wife, Betty Bartlett McAndrew (1906–86); and Sydney J. Freedberg (1914–97), Chairman of the Department of Art at Harvard and Chief Curator Emeritus of the National Gallery of Art in Washington, D.C. Their successors, now spread across the United States and the globe, have made Save Venice by far the largest and most active committee preserving the cultural patrimony of Venice. 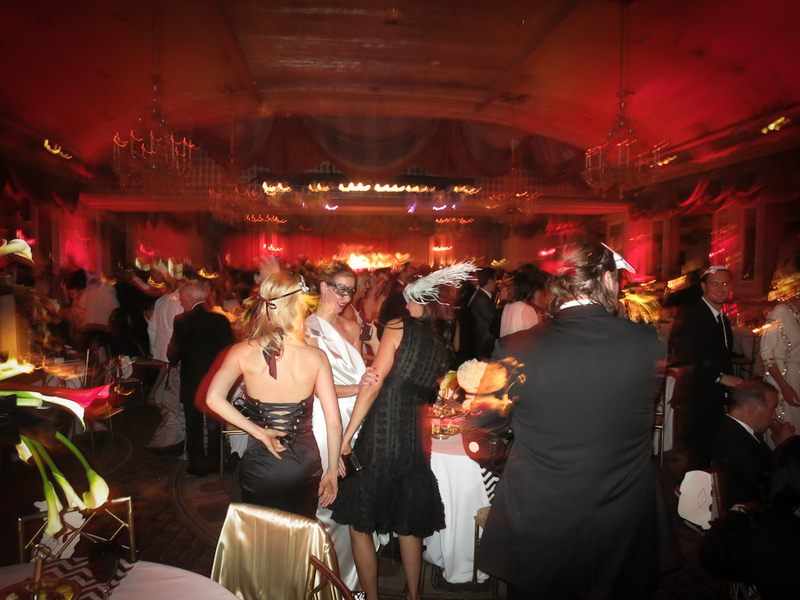 An inside look at The Save Venice Ball 2013 Sponsored by Lanvin. Indira Cesarine, left and Phillip Bloch, right. Each year, the Superintendents for the Artistic and Historic Heritage of Venice and for the Architectural Heritage of Venice, along with church leaders, museum curators, interested citizens, and friends of Save Venice suggest works of art and buildings in need of restoration. The board of Save Venice then chooses which projects to sponsor according to artistic merit and urgency of need. The conservation treatments are carried out by carefully selected restorers in Venice, and the restorers’ work is supervised both by the Superintendency and by Save Venice representatives. 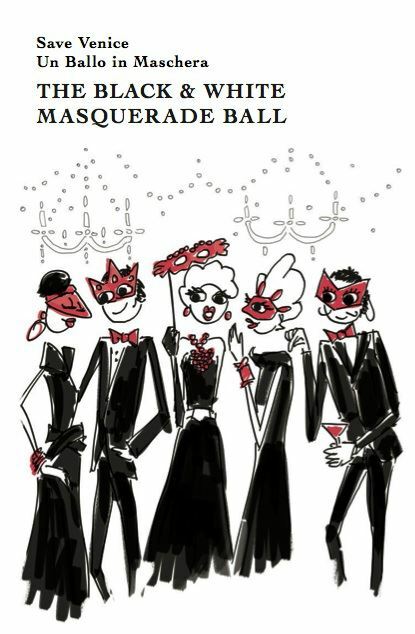 The proceeds of the Save Venice Black and White Masquerade Ball will support the restoration of the church of San Sebastiano, filled with stunning canvases and frescoes by the great Renaissance artist Paolo Veronese.